At Omni Back and Disc Centers we educate our patients on how the body works, and its ability to heal. Read our patients' testimonials to hear how we help to eliminate pain and restore quality of life. Dr Jesse Dean, was born and raised in Memphis, TN and attended Memphis State University. Dr. Dean played collegiate Tennis and was an all American and played in the National Championship. Dr. Dean attended the prestigious Palmer College and graduated in 1999. He ran one of the largest multi disciplinary clinics in Tennessee and in 2000 was hired by the Memphis Grizzlies as the official team chiropractor. In 2003 Dr. Dean purchased a practice in Milan Medina Tennessee and has been practicing family practice as well as treating most of the Universities sports clubs in the area. Over the last 14 years he has added two other locations in Medina and Jackson. Omni Medical and Rehab is one of the largest multi disciplinary clinics in West TN, specializing in Spinal Decompression treating spine, disc, back and neck conditions with the most advanced technology. Our Clinc has treated players from the NFL, PGA, NBA, MLB, worlds strongest man and PBR as well as MVP moms and dads and young and old. 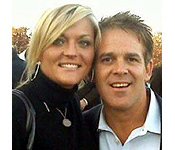 Dr. Dean has been married for 15 years to Kelli Dean and have three children Jesse, Presley and Cash Dean. We are devoted to helping our patients get better.